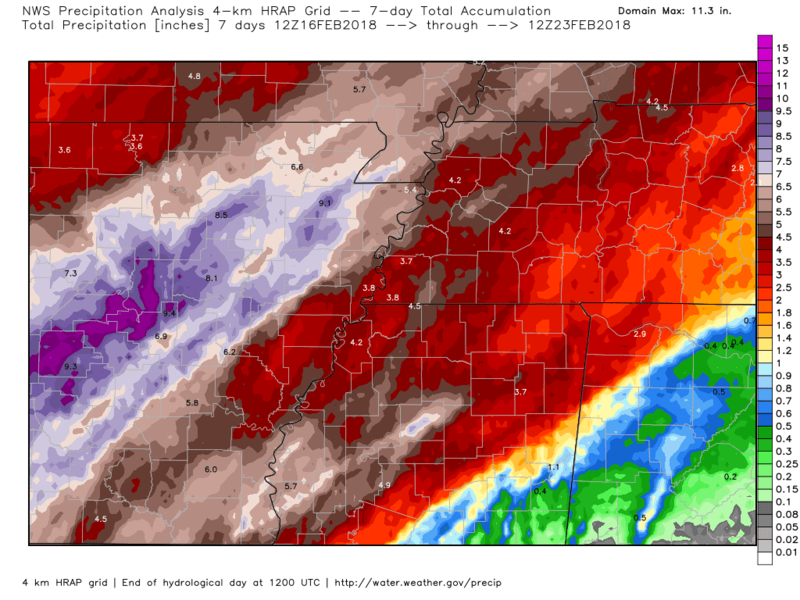 So far this month, Memphis International Airport is nearing 9" of rain, which is just over 2" short of the all-time February record of 11.14". We'll definitely make a run at that record. For today, a nagging frontal system remains generally right over the metro. We'll see continued chances of pop-up showers during the day, though it looks like the next potential "round" of showers and a few thunderstorms could be this evening. Highs today are tricky, depending on cloud cover (a few peeks of sun will be seen) and pop-up showers, but should end up nearing 70° for most areas. The rain chance this evening ends overnight as the region gets firmly entrenched in the "warm sector" of tomorrow's low pressure system that will eventually bring an end to the unsettled pattern we've dealt with this week. Warm sector means southerly wind, muggy air, and warm temperatures - so look for lows tonight to remain in the 60s. Saturday will feature a chance of showers or a thunderstorm, mainly in the afternoon, but also some brief breaks in the clouds and gusty south wind that help push temperatures into the mid 70s. It'll be a good idea to use that time to secure any loose objects and clean out any leaves or debris that are blocking gutters or drainage areas. By evening, as the low pressure center moves by to our north, we'll see a round of strong to severe storms push through the metro ahead of a cold front. Timing of the strongest storms appears to be between about 8pm-1am, with the main threat lasting no more than an hour or so at any one location. Due to the strong wind fields at all levels of the atmosphere and very warm and muggy air preceding it, storms will be capable of damaging wind gusts, perhaps some hail, and a couple of tornadoes. The metro is contained within an Enhanced Risk (level 3/5) of severe weather. Yes, we are on the leading edge of spring severe weather season! In addition to the severe weather risk, Saturday evening's system will likely produce an inch or more of rain in a short time period, enhancing the ongoing flash flood risk. Flood Watches remain in effect for the region and River Flood Warnings are in effect for some of the Mississippi River tributaries, as well as the main river itself. 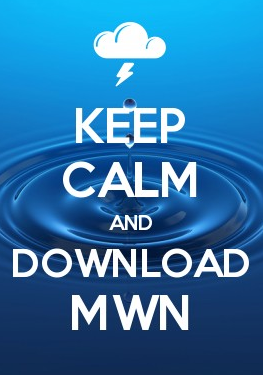 Always be cautious, especially after dark, when encountering water on roadways. Don't drive across water-covered roads! You don't necessarily know whether the road bed is intact under the water. In addition, due to saturated soil, it won't take as much wind as usual from thunderstorms to bring down trees (perhaps into power lines). I expect we could see some tree damage across the area Sunday morning, even perhaps from sub-severe level wind (say 40-50 mph). 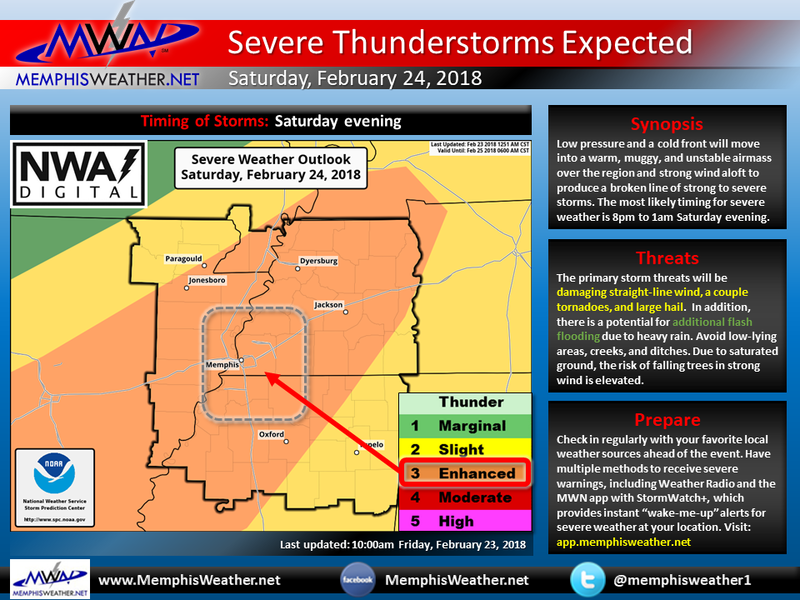 Be prepared for the potential for severe weather after dark Saturday night. 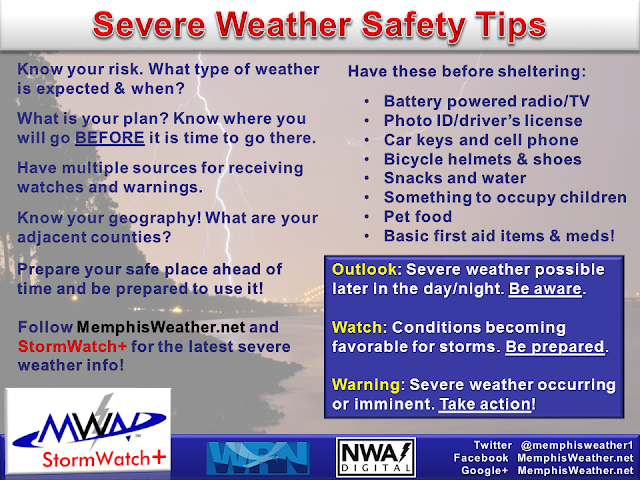 It's been quite a while since we have had a substantial threat from severe storms, so take the opportunity to review the safety tips above. We also highly recommend you download the MemphisWeather.net mobile app and activate StormWatch+ within the app for severe weather alerts delivered to you for the locations you are interested in. We'll bring you updated information on our social media feeds throughout the next couple of days, so you can always find us on Facebook or Twitter if you have questions or need the latest info! Links to our feeds are below.